We are dedicated to providing our clients with the very best in Masonry installation/repairs and Paver installation for driveways, sidewalks, patios, steps, and a variety of other projects. With over 15 years of industry experience, we take an enormous amount of pride in the attention to detail put into each of the projects we're involved with. We're known for our quality work and the integrity of our business. We look forward to building long-term relationships with our clients, and guarantee your satisfaction. A premier manufacturer of paving stones, wallstones, and outdoor living rooms, Cambridge Pavingstones is an American; family-owned company committed to developing the very best products and has been doing so since 1994. Cambridge is your total outdoor living solution… from patios, driveways and retaining walls to outdoor kitchens, grills, smokers, pizza ovens, fire pits, pergolas, pavilions and more. 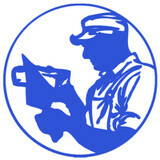 To find your local Cambridge distributor, visit our website at cambridgepavers.com and click on the Dealer Locator. *Authorized Techo-Bloc Dealer* For twenty years, Bergen Brick, Stone & Tile continues to be Wyckoff's destination showroom for all your stone and tile needs. Whether you are updating a kitchen backsplash, renovating a master bathroom or starting new construction, Bergen Brick can help complete your project with excellent service and quality merchandise. With all of today's choices in style and product selection, it is easy to become overwhelmed. Let our professional designers assist you in defining your style, from classic to contemporary, resulting in a beautifully finished space. Our interior showroom offers a range of products from natural stone, handmade tiles, glass, metal, custom murals and a large selection of porcelains. The exterior division has expansive displays in natural stone, cultured stone and pavers. The seasoned professionals at Bergen Brick work with budgets of all sizes. Once materials are selected, we will recommend layouts and provide drawings for your installer. We can take your existing property and create world-class designs that will make your home a place of relaxation, peace and tranquility. From landscape design, patios to decks and pools, we can work with you on any size project from a small front yard to an entire estate. We have the know how and expertise to handle any size project, and complete it on time and within budget. If you are looking to transform your current property into a serene living space, you have come to the right place. *Authorized Techo-Bloc Dealer* Braen Supply is the leading supplier of landscape supplies and masonry supplies in NJ, NYC, PA and CT. We’ve supplied thousands of homeowners and contractors with crushed stone, pea gravel, river rock, Mexican beach pebbles, mulch, topsoil and rock salt at some of the best prices in the area. We’ve also worked hand-in-hand with countless homeowners and contractors to complete a variety of masonry projects. We’ve also become one of the largest suppliers of Bluestone, stone veneer, pavers and fire pits. With more than a decade of experience in the industry, Braen Supply can assist you with all of your landscape, masonry and outdoor needs. You can visit us at our Wanaque location where we have have a 6,500-square-foot showroom with a wide variety of displays. We offer a full assortment of landscape, masonry and drainage materials for pickup and bulk delivery across all of NJ, NYC, PA & CT.
From installing new exterior columns to repairing your chimney, masonry contractors can help you add both visual appeal and value to your property. They’ll know what kind of installation makes the most sense for your Stamford, CT climate and regional style. Looking for something that will develop a patina with time? Or would you rather have your home feel brand new for years to come? Choosing the right kind of stone involves thinking about the future, too. Experienced brick suppliers and stone suppliers can help you find the material that will work for your home now and for years to come. These professionals aren’t limited to exterior work either. Whether you want a split-stone granite wall in the kitchen or need help installing traditional brick masonry on your fireplace facade, you’ll want a professional to get it right. If you’re already working with an architect or designer, he or she may be able to suggest a good Stamford, CT subcontractor to help out. Here are some related professionals and vendors to complement the work of stone, pavers & concrete: Landscape Architects & Landscape Designers, Architects & Building Designers, Garden & Landscape Supplies, Driveways & Paving, Siding & Exteriors. Find stone, paver and concrete professionals on Houzz. 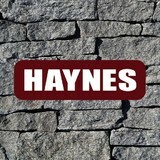 Search the Houzz Professionals section for Stamford, CT stone, paver and concrete professionals. Browse photos and read reviews, and contact a pro if you like their work.